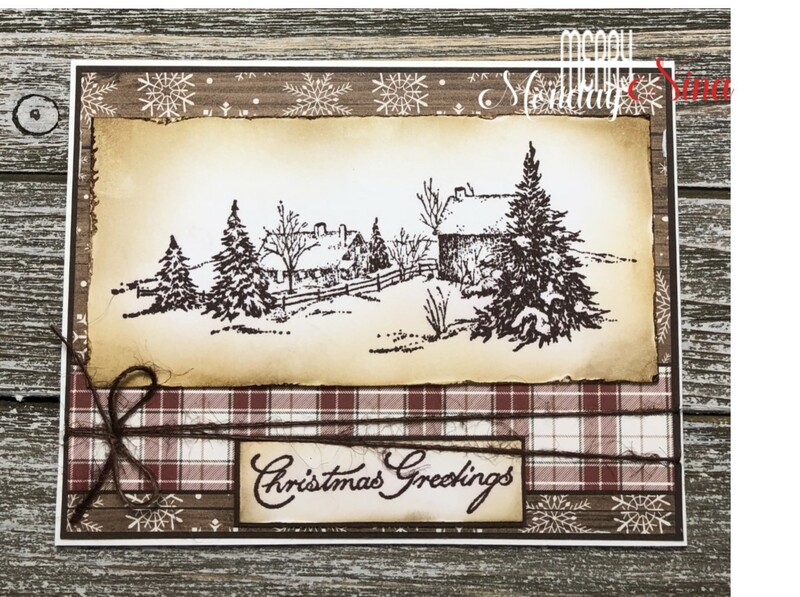 Beautiful rustic farm scene, Nina! 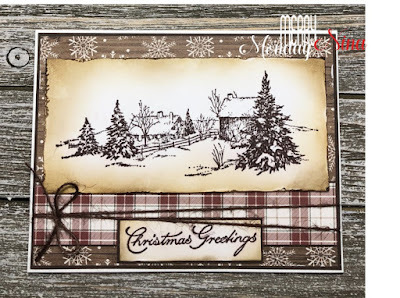 Just love the distressed edges and the papers you combined! The twine add the perfect finishing touch!! Beautiful card Nina. Love the image in neutral tones and the papers are perfect with it. Have a great week. 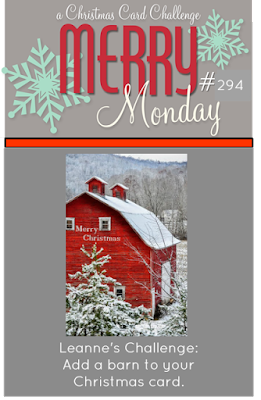 Love your vintage looking winter barn scene, Nina. Hope you are having a great week. Lovely country colors and patterns on this! so pretty, love the neutral colours and the winter scene.